N/A Japanese. 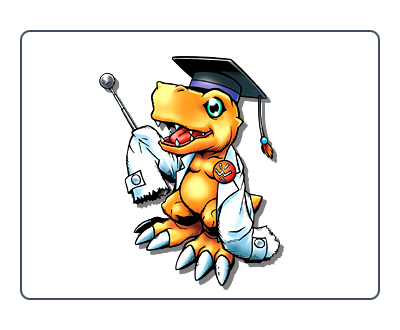 After much research on "agu" I believe it's short for agurabana, which means a wide, flat nose (which describes Agumon pretty well). Hakase means professor.